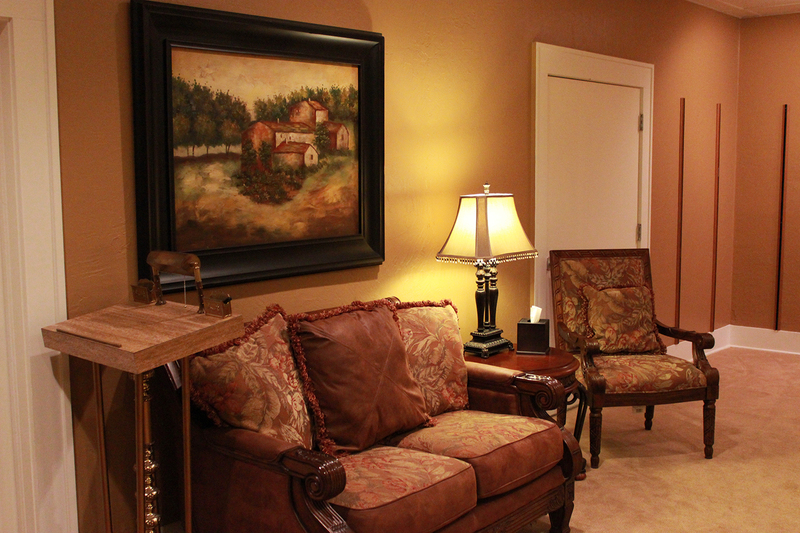 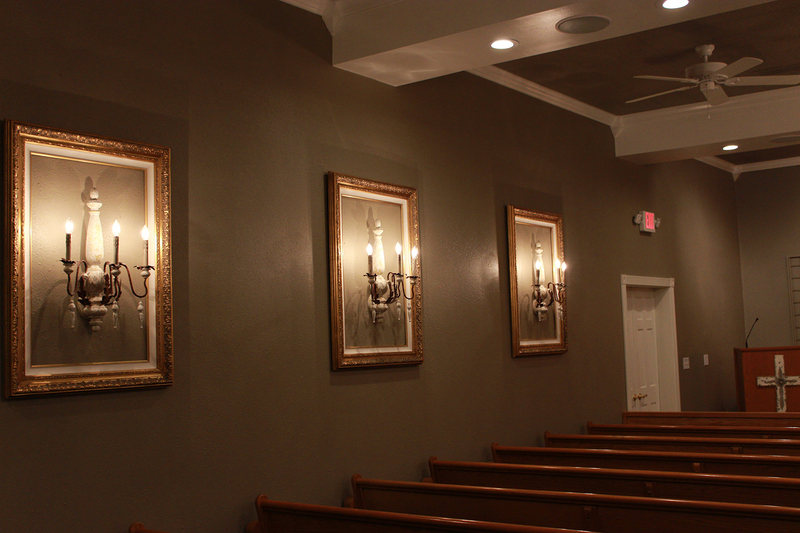 Newly renovated, Garrett Family Funeral Home offers the latest state of the art facilities with the feeling of home. 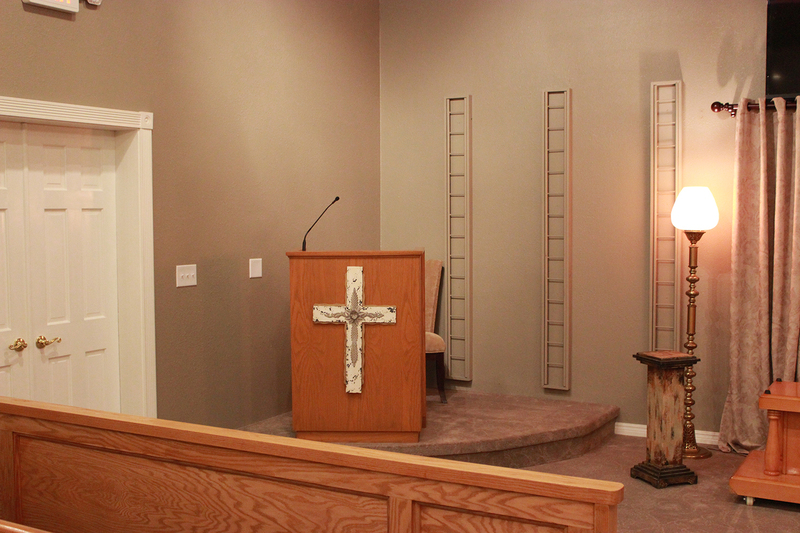 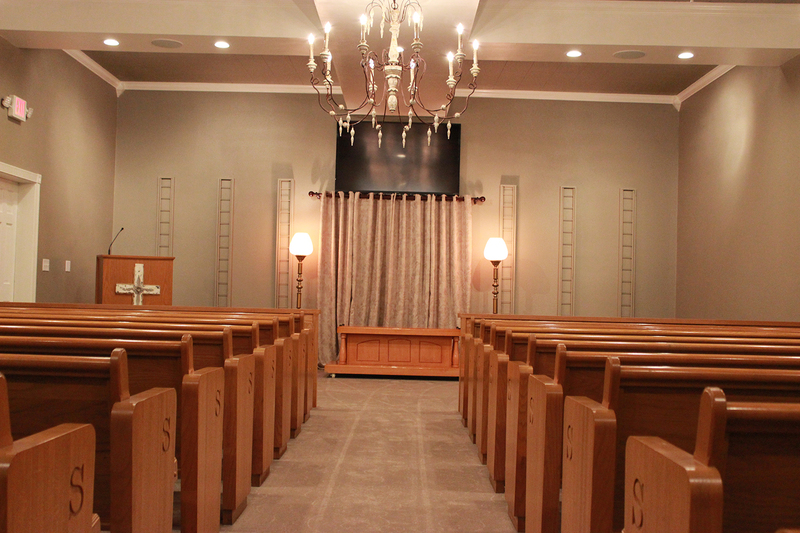 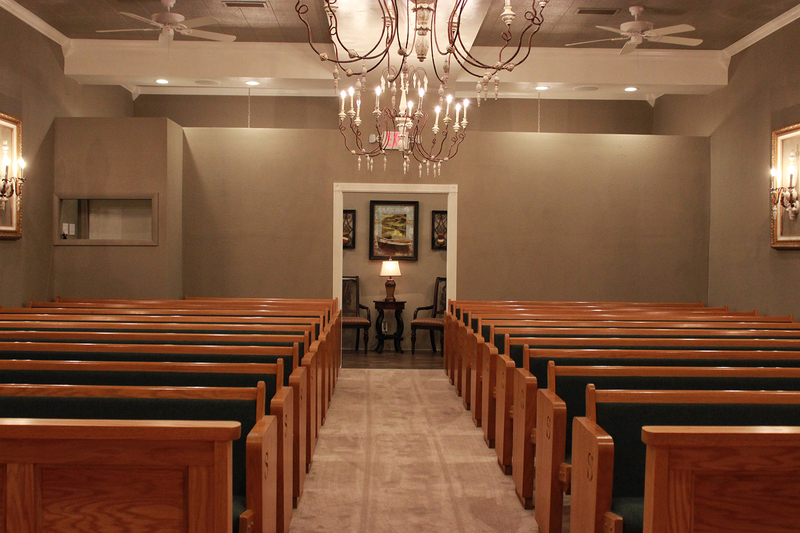 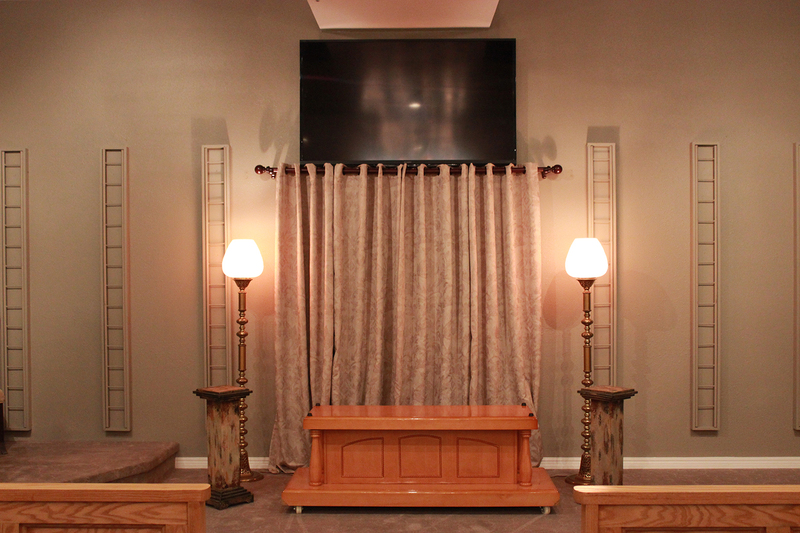 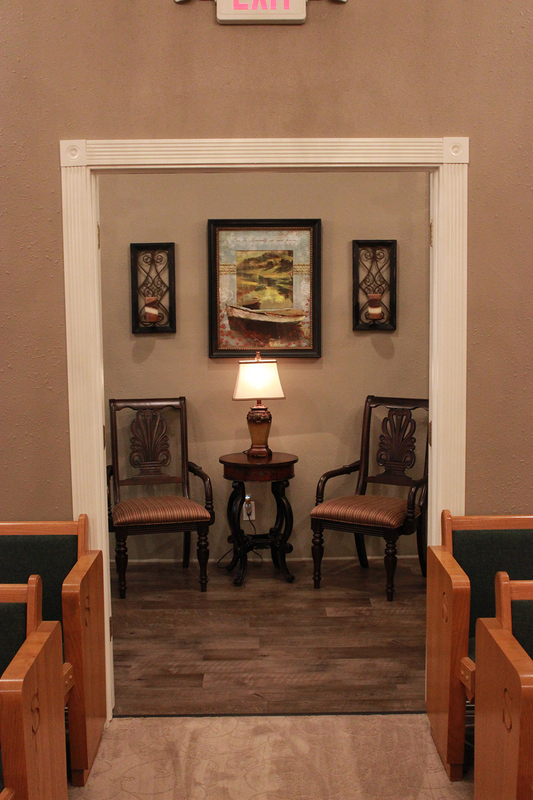 Our chapel features complete audio and video capabilities and is large enough to accommodate 150 people comfortably. 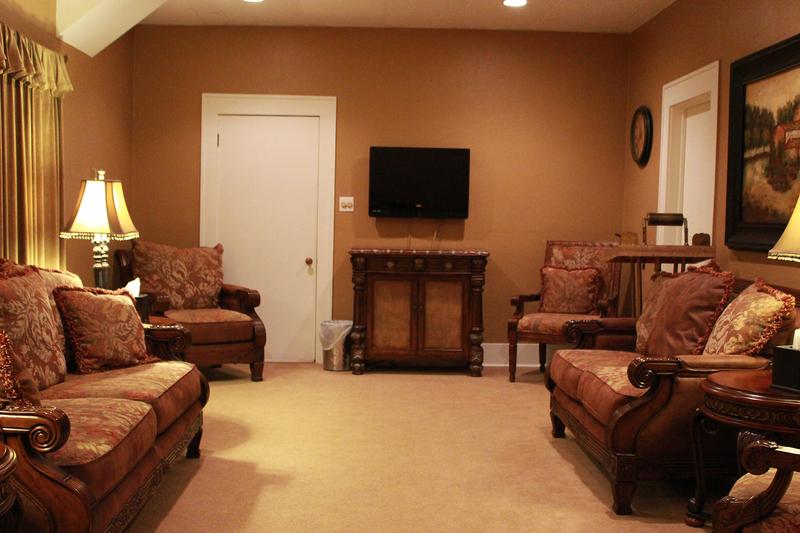 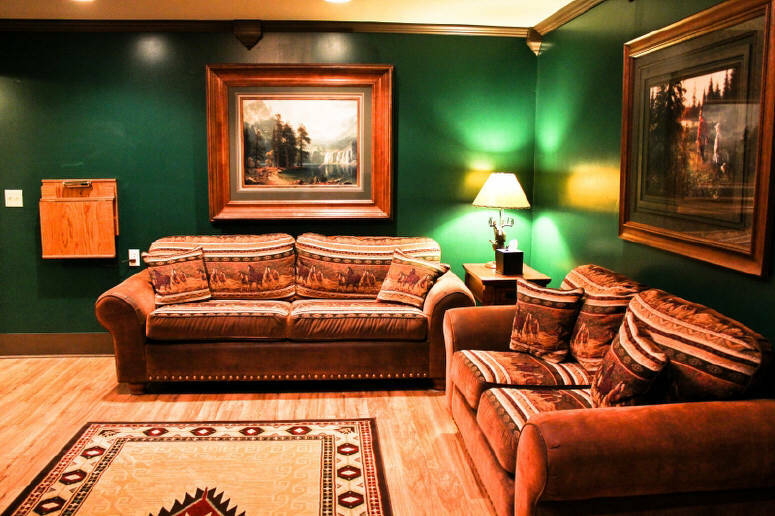 Each room in our facility is uniquely designed and decoraed to offer a comfortable and relaxed atmostphere. 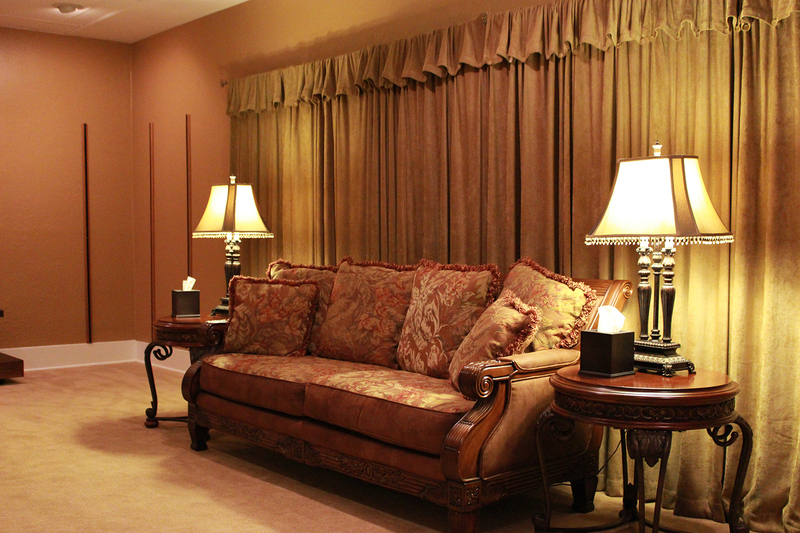 The Kensington features a feminine design with carpeted flooring and floral accented furnishings to create the ambience on an attractive private setting room. 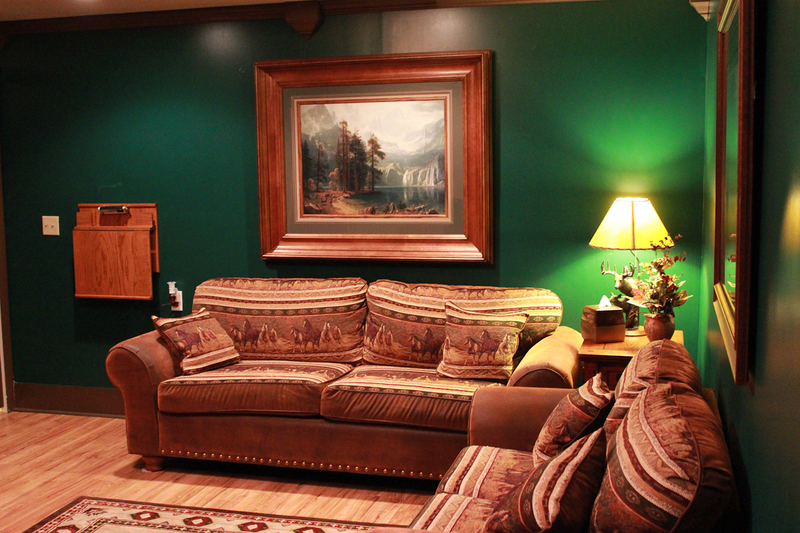 The Kodiak features a masculine design with oak flooring, leather furnishings, and an antler chandelier creating a unique sportsman-like lodge atmosphere. 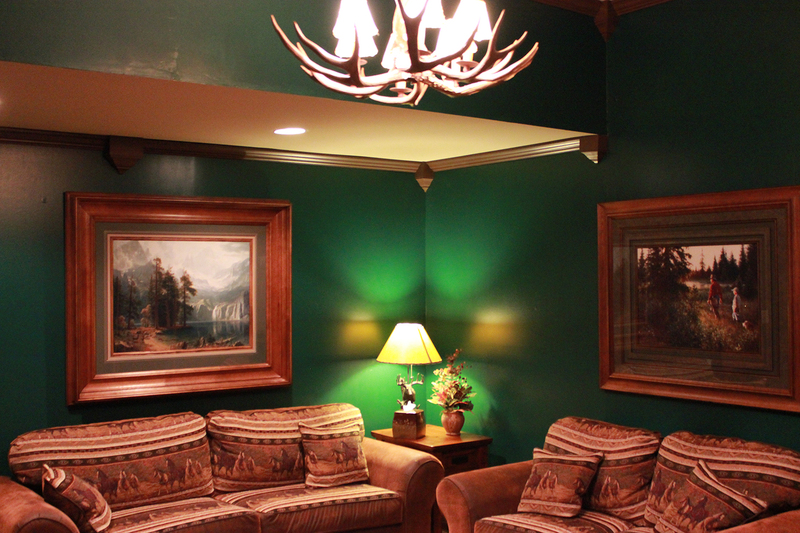 The Westwood is elegantly designed with unique furnishings and draperies creating an attractive parlor-like atmosphere to accomodate either gender. 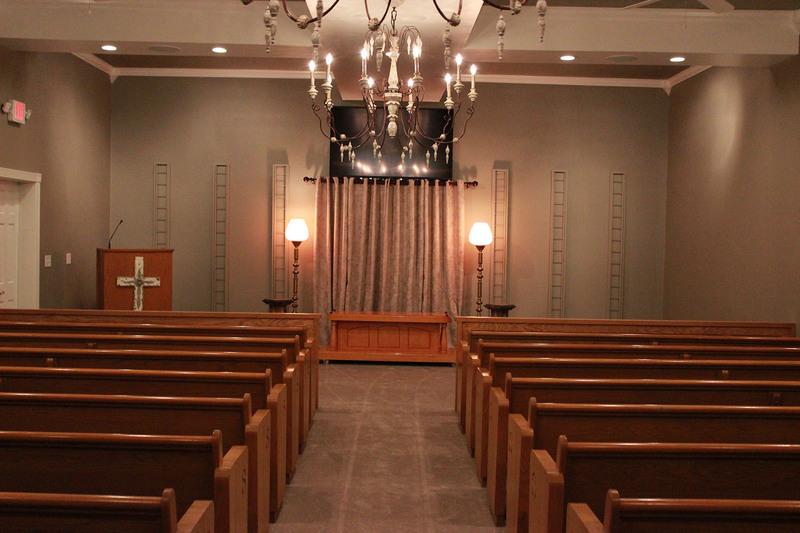 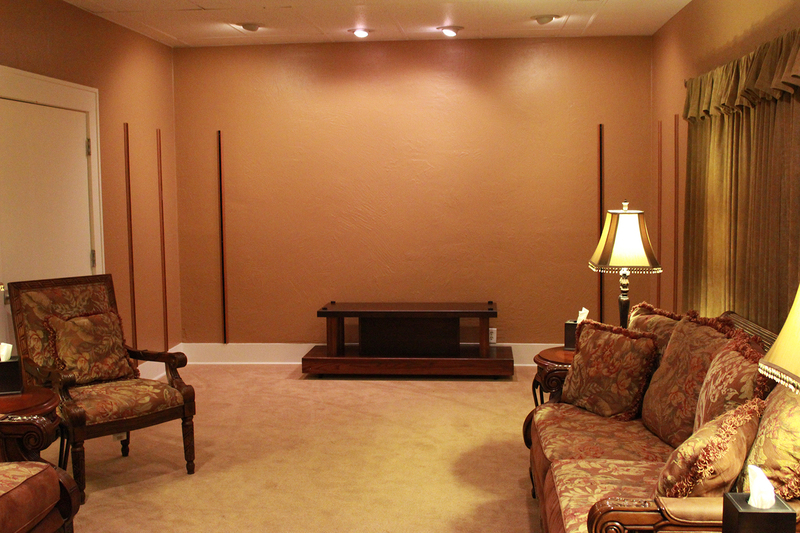 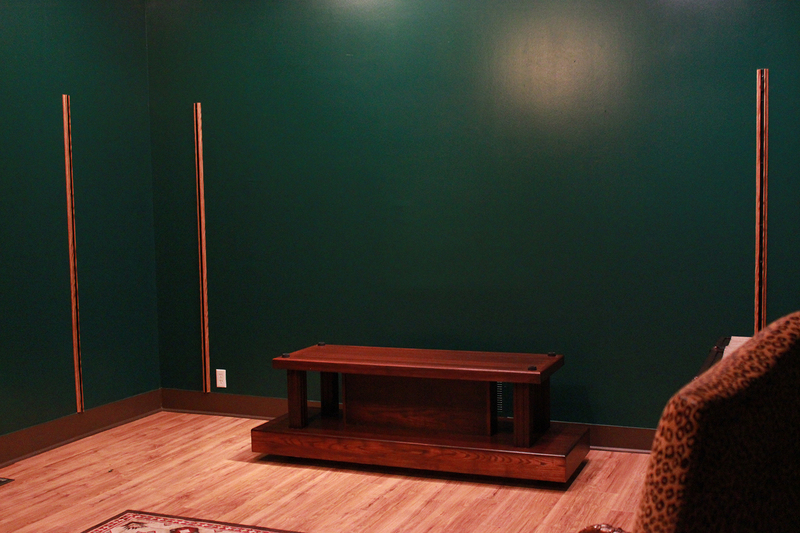 A private Family Arrangement Suite, adjoining the Westood viewing room, is accessible for family members to discuss funeral arrangements or may be used as a family gathering area during viewing hours.